This is the epic story of how I spent three years obsessing over a salad made with tea leaves and how I ended up paying $86 for that damn salad. 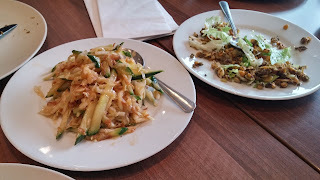 I had my first taste of laphet thote (picked tea leaf salad) on a work trip to San Francisco at Burma Superstar. As usual, it was packed. Somehow we got lucky and were seated in 45 minutes instead of the estimated 2 hour wait. 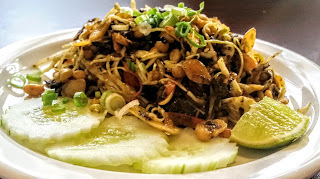 Perhaps it was the long wait, the hype, the hunger or the excitement of trying new food, but one bite and I was hooked. 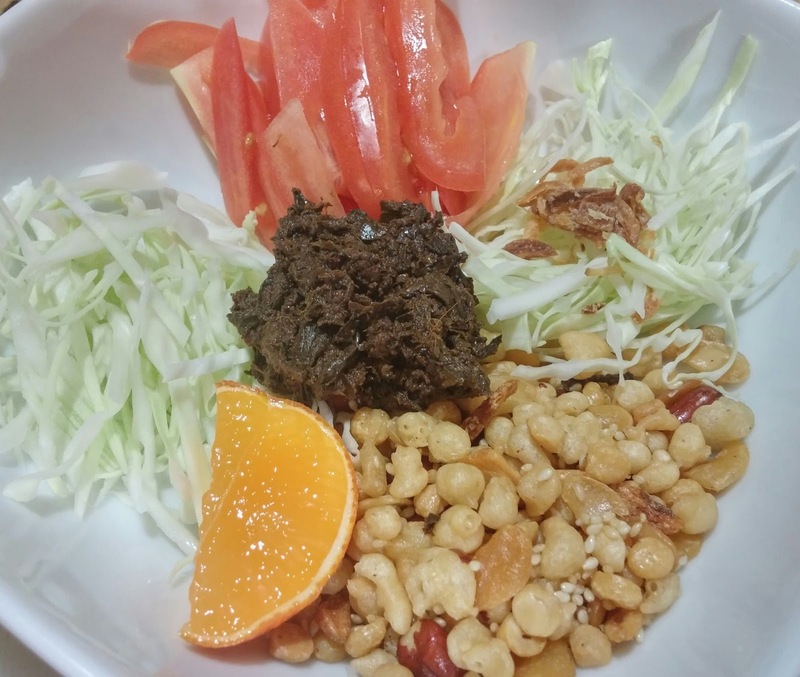 The dish looked deceptively simple, it was a crunchy and tangy blend of fermented tea leaves, nuts, lettuce, lemon juice, and fried garlic. I don’t remember all the subtleties of the dish but just remember how different it tasted and how much I enjoyed it. It became my obsession. 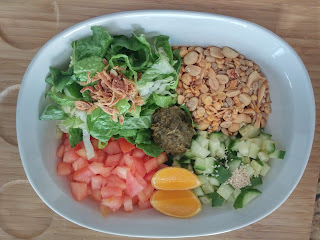 Tea leaf salad from Burma Superstar. Photo source. For those first few months, I looked at all corners of the web to find these illusive tea leaves to recreate the dish at home. 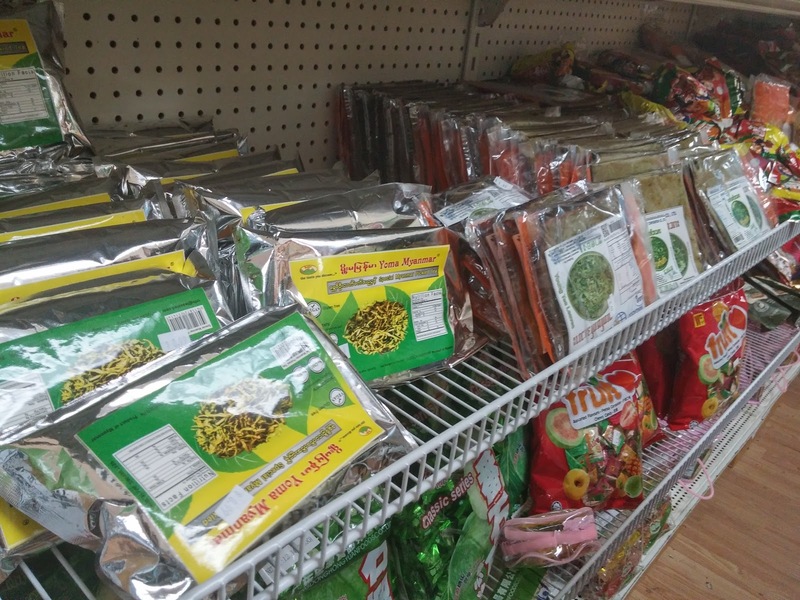 Despite its popularity in Myanmar, these leaves were so hard to find in the U.S. Most claimed that the only way to get it is to smuggle it out of the country. I temporary gave up. But for the next three years I continued to tell my friends tall tales about how amazing this salad was. We took a girl's trip to Europe. It was easy to convinced my girlfriends to brave the streets of London to search for the tea leaf salad after years of hearing my tall tales. The salad at Mandalay Burmese Restaurant was so disappointing, I didn't even try to take a good picture. But I kept on looking. 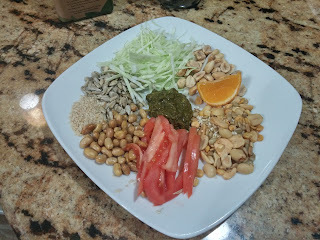 Imagine my excitement when I found a Facebook post with a link to a local San Fran grocery store where I can order a tea leaf salad kit. Score! They do not deliver to Kentucky? No problem! I had it delivered to a friend's work place in San Fran, who then shipped it to me. Two orders and shipping fees set me back $63. The husband thought I was a bit insane, I agreed. Mixed all ingredients thoroughly in a large bowl. Taste, adjust if needed. And voila, this is what I got. So after three years, I finally made that salad. It was good, but after so long I realized I forgot what the original salad tasted like. I enjoyed it but definitely not as magical as that first bite three years ago. I was determined to make it better. I know that the Burma Superstar version is Americanized (authentic Asian cooking does not include romaine lettuce or lemon). I did more research online and came across this more authentic version on youtube and a travel video. I took a trip to Kroger to gather the ingredients, which set me back $3.31. 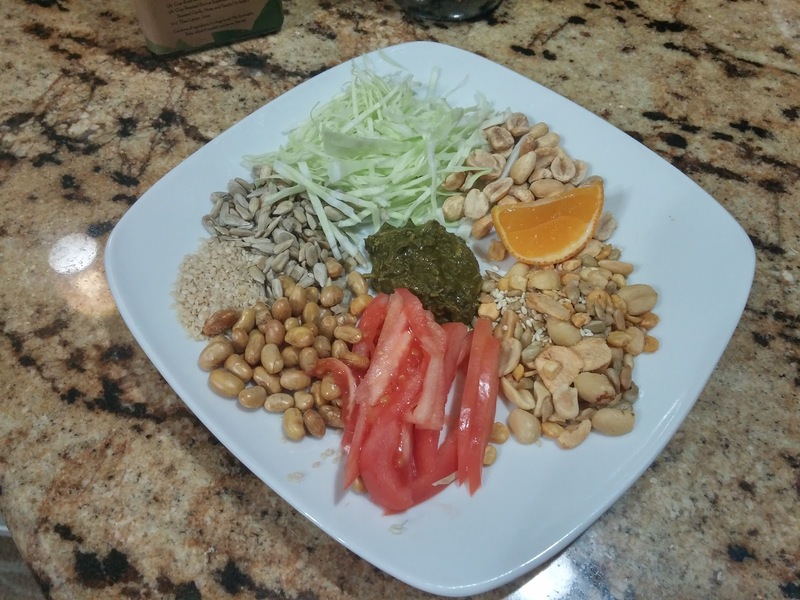 Mix all ingredients together and enjoy. I didn't find all the ingredients so I substituted different nuts found at the organic aisle at Kroger. I don't like dried shrimps so skipped that part. I enjoy this version much better. The cabbage is crunchier and blends with the nuts more naturally. I also sprinkled a pinch of Knorr chicken seasoning for added flavors and some chili pepper for a kick. Still determined to find all the authentic ingredients listed in the previous recipe. 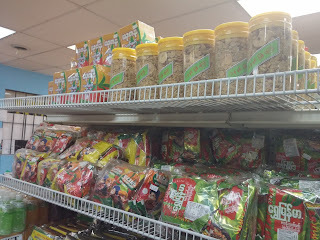 I found Ralhla Asian Market (6916 Southside Dr, 40214) online, a Burmese grocery store in south Louisville. Really starting to doubt that $63 purchase. 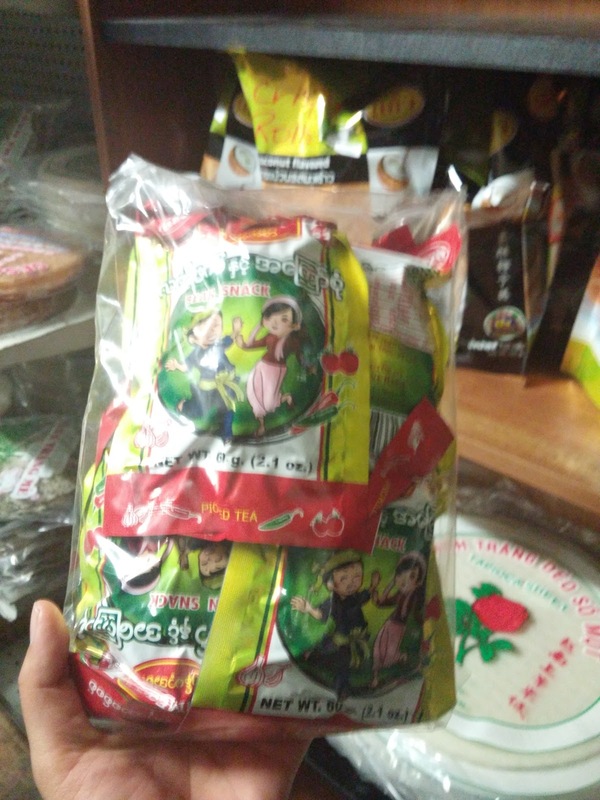 Stopped by Ralhla to look for the tea leaves, half hoping not to find those tea leaves so I wouldn't look so dumb. Found rows of tea leaves and assorted nuts. Yup, I looked really dumb. There were at least 4 different brands, ALL UNDER $10. Looked beyond really DUMB. 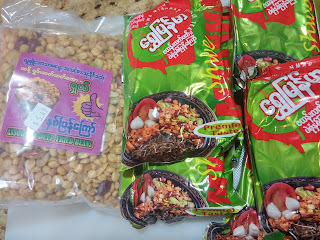 I bought a new tea leaf salad kit and nuts, spent another $20. 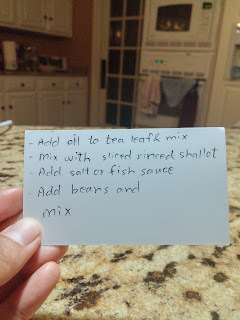 The nice owner wrote down this recipe for me after a lot of questions. He said that a few years back it was very hard to find and did cost up to $20. I felt slightly validated. I used half a bag of the fermented tea leaves, mixed it with 1/2 Tbsp of oil. Combined tea leaves with all the ingredients. Add a little bit of salt or fish sauce to taste. Squeeze a little lime and it's ready to eat. This is by far the best version. 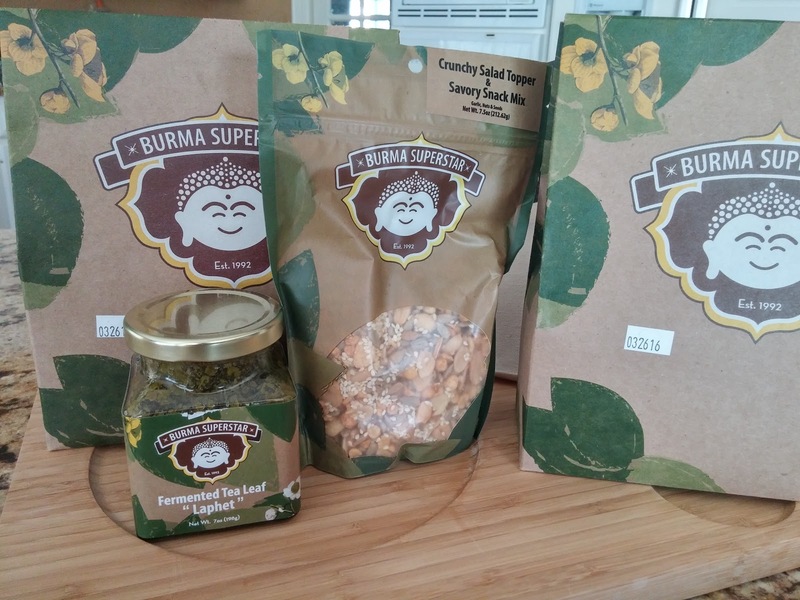 The tea leaves have so much flavor compare to the more tame pesto-like version from Burma Superstar. It's spicy, salty, and a barely noticeable trace of bitterness. 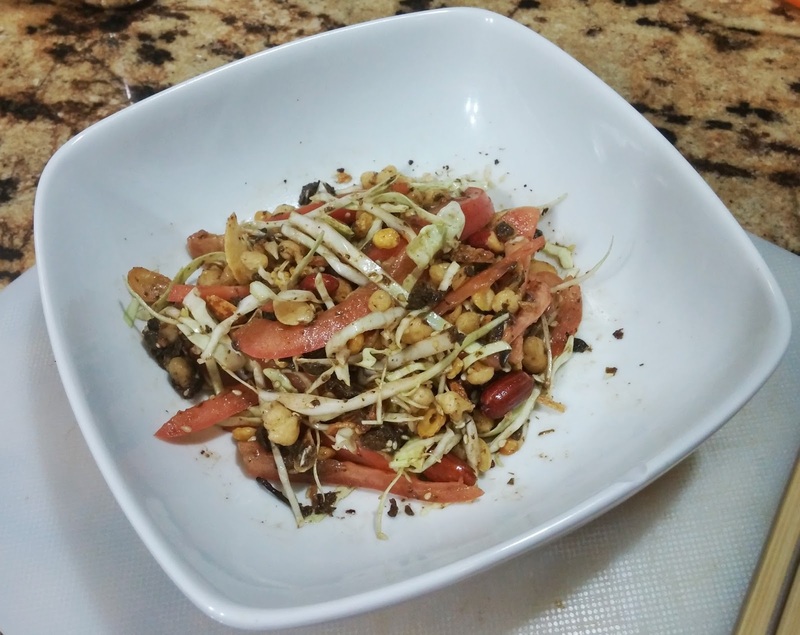 Combined with the freshness of the cabbage, crunchiness of the nuts, and tanginess of the lime and this salad is a winner. I can't wait to share this at the next party. $86 poorer and 3 years later, I reached a whole new level of dumb. But it was a delicious ending, so this slightly insane girl is okay with that! I'm happy to report that my story ends on a very satisfying note. 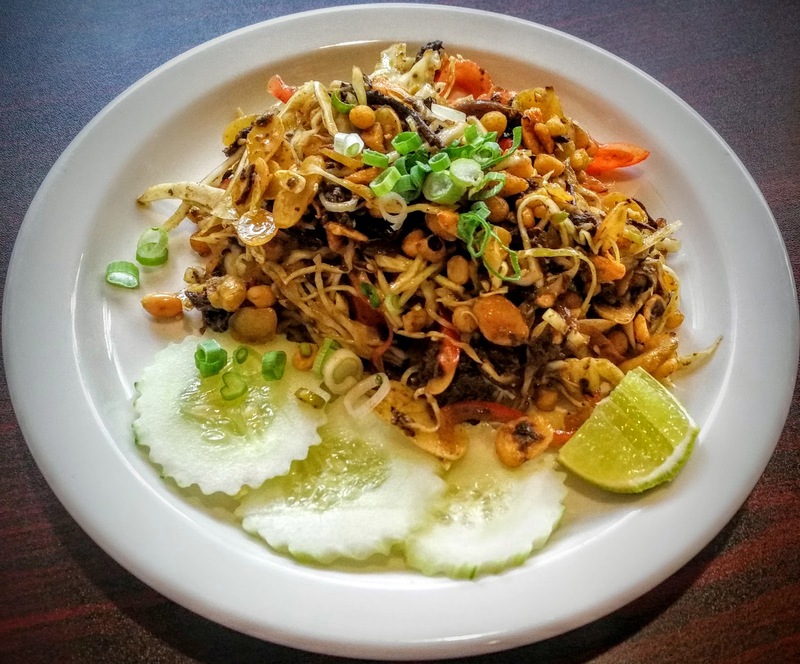 While on a work trip to Bowling Green, KY I accidentally came across Yangon Bistro near WKU campus and got to try a truly authentic version of the Tea Leaf Salad (the owners are Burmese). It was a beautiful dish of flavor, crunch and tanginess. A great price at only $3.99. My version 3 above came pretty close! 2) Or stop by these grocery stores to pick it up. 3) Stop by these restaurants if you're in Indiana: Kimu Restaurant & Mandalay Restaurant. 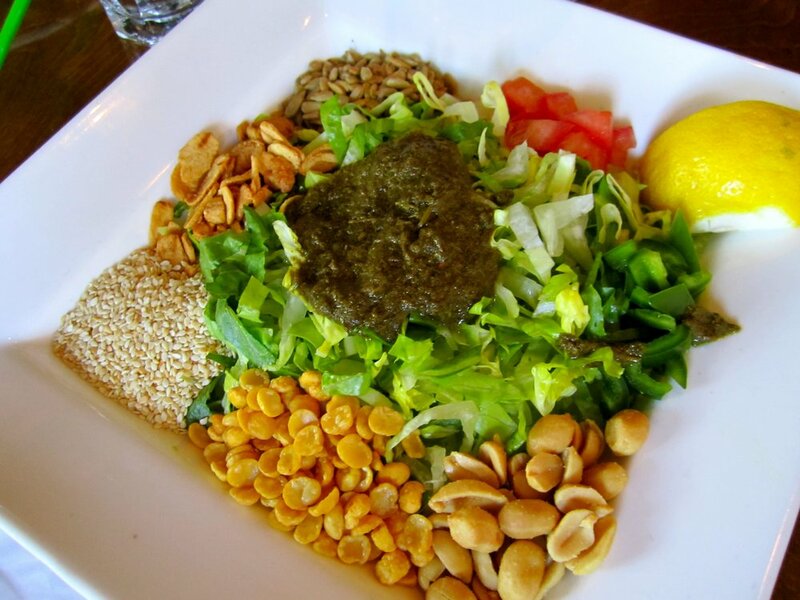 If you are ever in the San Fran area, here are 8 places to find this salad. If you're in Boston, check out Yoma. I remember how much I liked the rainbow salad, which has 22 ingredients....onward to another food adventure!